Click on the photo to see a large photo in a new browser window. Hi again everybody! I'm back! And I've been missing this group. Here's Possum. I got a new camera to backup my Canon DSLR (which I almost killed when I fell into the river kayaking — but it's been fixed). This was taken with an Olympus Tough 8000. On the day that I took the photo, I was learning how to use the new camera. And Possum was cooperating for once and looking beautiful as always! Below is her footprint in the snow. It's interesting because usually you don't see cat claws in their tracks. I think she was trying to "hold on" since the snow offered little traction to her little cat paws. I am looking forward to visiting all of you tomorrow evening! Gosh. The color of Possum really reminds me of the real possums outside my window. Possum looks like a little sweetheart; great colours too! Thanks for dropping by. Yes, it's fun to write but publicity is hard work. Possum is quite beautiful. 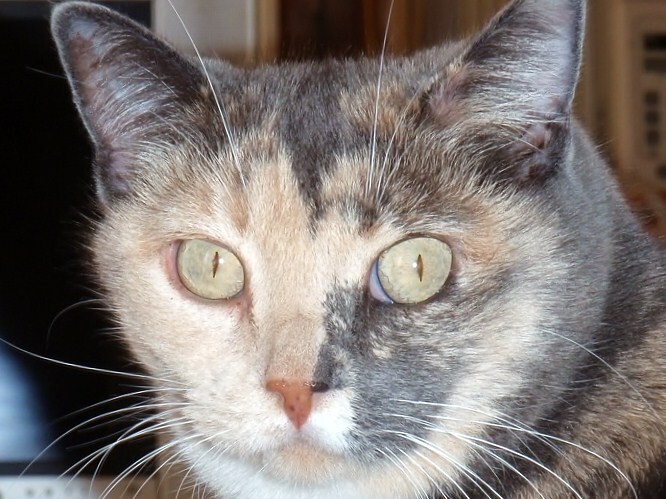 It is an interesting name for a cat. How smart she is to extend her claws while walking in the snow. This portrait is sooo beautiful! What a nice picture of Possum ! Happy to see you back ! was quiet a long time. I couldn't comment yesterday, the link you put on my blog was wrong and then it was too late. Sorry. What a gorgeous picture of Possum! 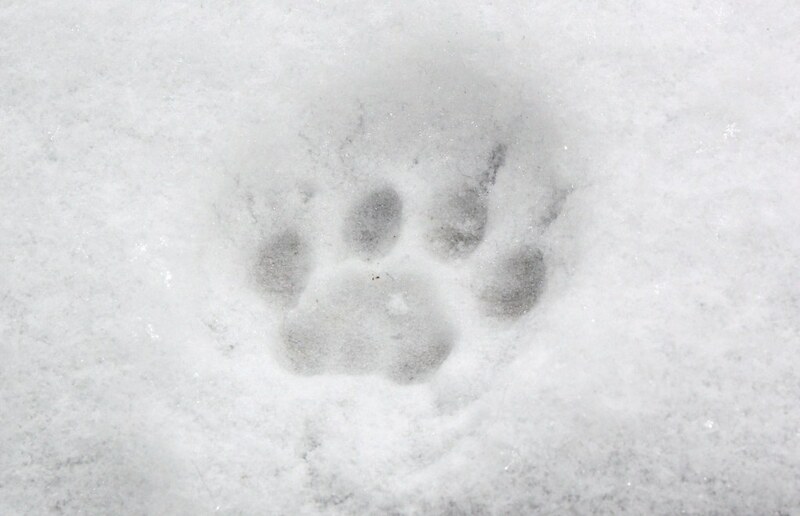 The little snow paw print is so cute! I don't blame Possum. I would try to keep my paws out of the snow too! Nice shots! Congrats on your new canera. I'm so behind....I havent got a DSLR yet. My hubby says I dont need it...lol. But I might one day just swipe the credit cards...haha!